Lviv National Academy of Arts (Львівська національна академія мистецтв; Lvivska natsionalna akademiia mystetstv). A post-secondary institution in Lviv offering a five-year program in the fields of fine art, decorative and applied art, design, restoration, science of culture, art criticism, and social and cultural management. It consists of four faculties: design (with the departments of graphic design, interior design, and clothing design), applied and decorative arts (with departments of art textile, ceramic, glass art, woodware, and metalware), fina arts and restoration, and history and theory of art. The shool was established in 1946 by decrees of the Council of Ministers of the USSR (13 August 1946) and the Council of Ministers of the Ukrainian SSR (6 September 1946) as Lviv Institute of Applied and Decorative Art. 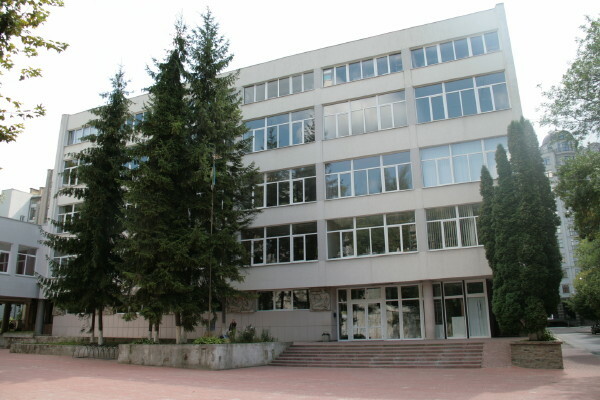 Initially the institute fell under the Ministry of Culture of the Ukrainian SSR and consisted of the Faculties of Applied and Decorative Arts and Applied and Graphic Arts. The Faculty of Graphic Arts was transferred to the Kharkiv Industrial Design Institute and the Kyiv Art School. Two sections of the Faculty of Applied and Decorative Arts—the Departments of Monumental Decorative Painting and of Monumental Decorative Sculpture—were later also transferred to the Kyiv Art School. In 1959 a Department of Garment Designing complemented the Department of Decorative Woven Textiles. A Department of Interior Design, added in the 1960s, later developed into a faculty. The Woodcrafting Department was abolished in the late 1970s. In 1994 the institute was reorganized into an academy of arts, and in 2004 it was granted a national academy status and assumed its current name. The academic staff of the institute and, later, academy has included painters Vitold Manastyrsky, Roman Selsky, and Karlo Zvirynsky, the sculptor Emanuil Mysko, the designer Yaroslav Ulhursky, and the art historians Yakym Zapasko and Volodymyr Ovsiichuk. Among the graduates of the institute are the ceramist and glass artist Andrii Bokotei, the graphic artist Sofiia Karaffa-Korbut, painters Zenovii Flinta and Oleh Tistol, and the sculptors Dmytro Krvavych, and Liubomyr Terletsky.